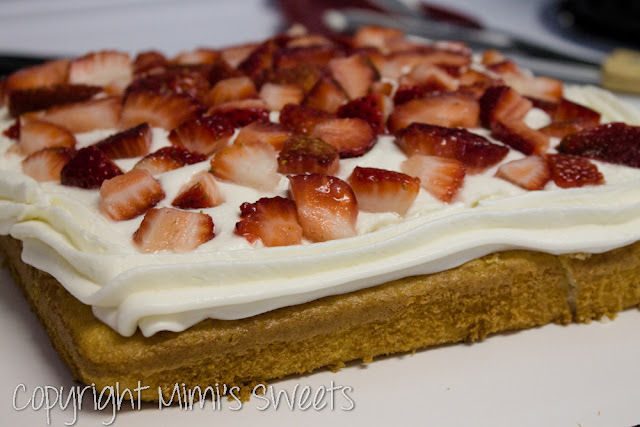 This is my first time doing Strawberry Shortcake as an actual cake rather than an ice cream cake. It was definitely an adventure, and it was a great one worth taking! 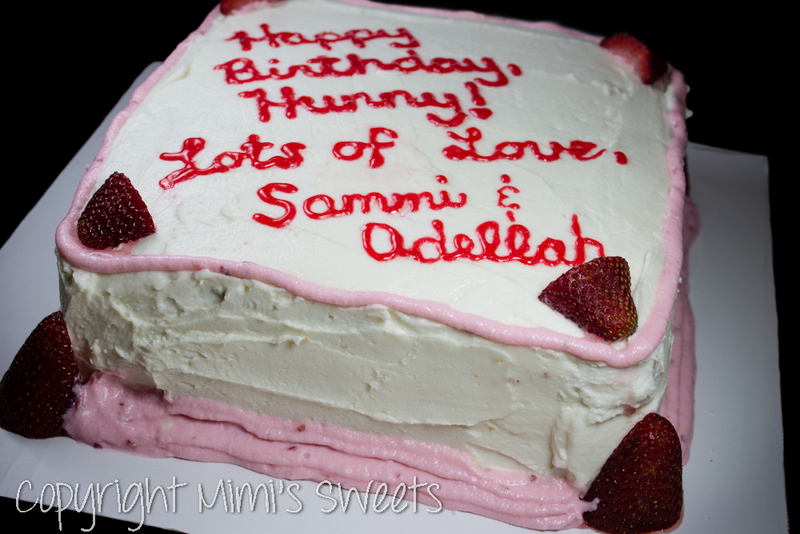 This is a homemade, two-layered vanilla cake with fresh strawberries and buttercream icing (both regular and strawberry flavored). The picture above is the bottom layer with the filling in the middle, and the picture below is of the finished product that was ordered. "Thank you very much, Mandy, for the lovely cake... The cake looks amazing and tastes beautiful. Thank you for making my birthday extra special." - Edelson N.